Jonathan graduated from Ouachita Baptist University in 1998 and UACCM in 2001 prior to joining B&F. He is a Licensed Surveyor in Arkansas, Louisiana, and Mississippi as well as a Certified Floodplain Manager. His affiliations include Arkansas Society of Professional Surveyors (Past President), Louisiana Society of Professional Surveyors, Mississippi Association of Professional Surveyors, National Society of Professional Surveyors and the Arkansas Floodplain Managers Association. 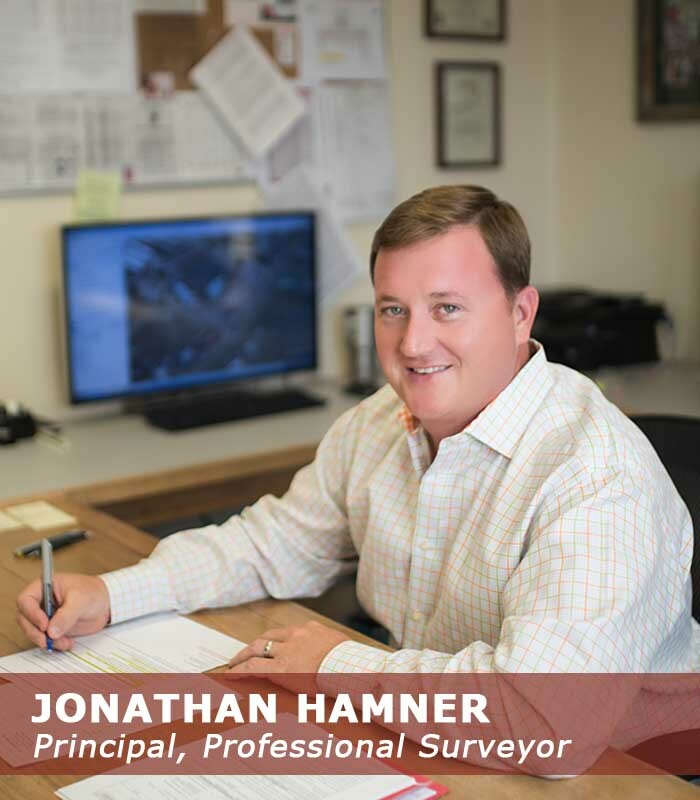 Jonathan, a principal owner of B&F, is responsible for all phases of surveying projects including research, field operations, drafting, office computations, legal descriptions, and certifications. He has served in every capacity of B&F’s surveying department. Jonathan and his wife Kate have three children and are “living the dream”.